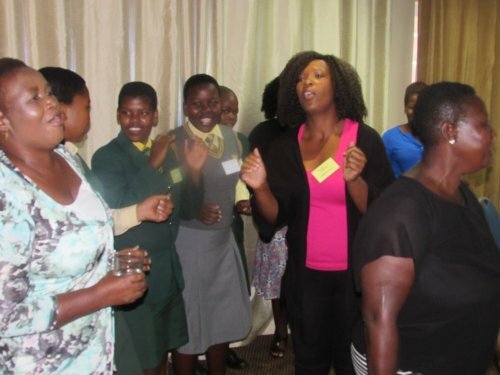 On 16 and 17 February, teams from the eight districts involved on Keeping Girls in Schools (KGS) and representatives from the national Department of Basic Education joined MIET AFRICA at the Riverside Hotel in Durban to share their experiences of implementing the programme. Trying to keep girls in school! MIET AFRICA has just started on the Leveraging Partnerships to Achieve the Goals of South Africa’s HIV& AIDS and STI National Strategic Plan 2012-16, or as it is otherwise known, “Keeping Girls in Schools”. 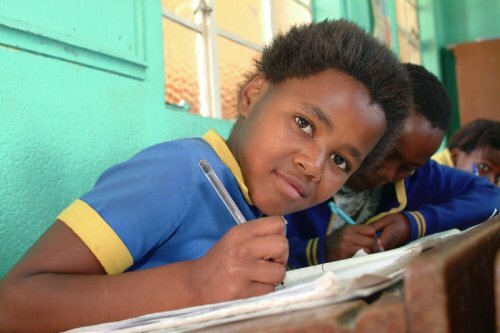 This is a Department of Basic Education (DBE) initiative that is funded by the Global Fund. NACOSA (the Networking HIV/AIDS Community of South Africa) is the managing agent, and MIET AFRICA has been brought in as the implementing partner. It will run until 31 March 2016. The aim is to provide support to the DBE to strengthen its ability to keep girls in schools. This will be done by strengthening the quality of existing life skills, peer education and other support programmes in schools. A “basket of support services” will be targeted at young women in the schooling system in order to retain them until they complete Grade 12.